An Unpaid Account From 10 Years Ago, Say What? Say What? Sometimes the beauty of having a blog is that it's a wonderful opportunity to share stories about a simple interaction that goes south really fast. Today is a day that I must share one of those stories. I have no interest in blabbing the particular name of the company that I interacted with. I'm really not one of those gripe to get my way bloggers. I understand why some have to take that approach out of frustration. I'm not frustrated. I admit I was angry at first, but now I'm having a good laugh. I suppose it was all the chatter and hoopla surrounding the day after Thanksgiving that sent me into heavy reflection. The notorious Black Friday didn't fill me with any urge or desire to run out to my local big box store in the wee hours of the morning fighting crowds, waiting in line to save some money. Now don't get me wrong, I love a good sale. But, the stuff that I am wanting to spend money on right now wasn't exactly Black Friday hot items. 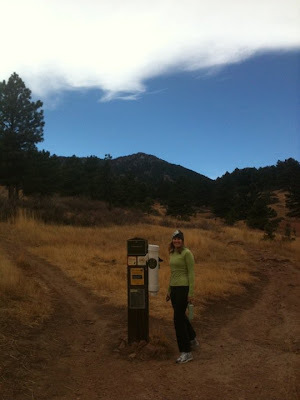 It's hard for me to believe, but we've been back in Boulder for three weeks already! One morning I was brushing my teeth, about to head out to meet a friend when this thought entered my mind:It's not starting over, it's returning home. 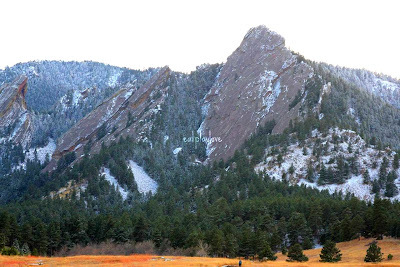 When we first decided to move back to Boulder, part of the process for me was thinking about leaving the place we considered home for eight years. Did I really want to give up all we created just for the location? I would think to myself, are we REALLY doing this? Then BAM! It happened in a flash, house on market, house sold, move cities. Yesterday my 3 year old was busy drawing at the kitchen table. She holds up the picture and begins to explain what she drew. I loved it, so I thought I would share it, deconstructed a little to better see the components of it. As always, you can click on the photo to enlarge it. Planting of the seeds, complete with sign. just as the little boy had known it would. Finally I'm ready to share our home of eight years, these photos were used for our real estate listing. I enjoy looking at them because it reminds me of all the things that made me happy about our first house (plus it looks so sparkly and well kept). We went under contract after 31 days on the market, I've never felt so lucky in my entire life! I came across photos from when we moved in and I have to admit, we really did leave a special touch on the place. I love this house and I always will. I actually cried at closing, sitting at the table with a group of people around us! I had no idea it would be that emotional for me. I really liked the woman that purchased the home, I can tell she loved the place already which made it easier for me to say goodbye. Packing Lunch Again... Post Move! Oh boy, moving has put a real speed bump in my bento inspiration! Most mornings we are trying to get something nourishing out the door in a flash and a few days it was even in a brown bag! The majority of my bento supplies are in storage, so we are down to the absolute basics. Two laptop lunches and a couple Japanese bentos are all I have in my 1000sqft apartment. In a month we'll be settled into our real home and I'm already devising ways to organize my bentos in the new kitchen! Whole wheat tortilla gently melted in the toaster oven, cukes, baby carrots, pirate's booty, and some raspberries. Quick update: I'm writing from an apartment that we moved into following closing. I will write about everything once we close on our home at the end of the month. I feel a bit superstitious writing about the entire process of selling and buying before it's a real done deal! As you may imagine packing and moving the contents of a home we settled very comfortably into over eight years was a ton of work, then multiply that by a three and that's really how much work it was. We still have one more move ahead of us, but at least 2/3 of our belongings are in storage and I don't have to repack them, they just need to be hauled. Thanks to Connie, instead of packing boxes, I'm creating little movies. Left over pasta from last night's dinner with some made on the spot vinaigrette (honey, olive oil, rice vinegar, some salt and pepper). Shredded mozzarella, carrots, and grapes. I hollowed out the core of a local colorado organic apple, filled it with peanut butter, and put some sprinkles on top to make it look like a cupcake! Lastly, for a treat a couple of mini burgers from Japan. Bunny, moon, and circle sandwich (good ol' organic peanut butter and jelly on whole wheat). Broccoli, red peppers, snap peas, orange peppers (left over from dinner stir fry mix), grapes, bunny crackers, and some japanese biscuits/crackers for a treat. I haven't been doing much lunch packing lately, as we are packing our home to move in a couple of weeks. Hot lunch has been my go to when I haven't been to the store or I just run out of time in the morning. I am fortunate enough to have a great hot lunch option at my daughter's school, her district is a part of the School Food Project. They've eliminated all processed foods, high fructose corn syrup, have bulk organic white milk (just pour into cups), a harvest bar, and a vegetarian option every day. With those words I will see all of you on the flip side. The flip side of not knowing where I will be living in just two short weeks. The flip side of saying goodbye to my home of 8 years. The flipside of having most of our possessions in some concrete storage space. The flipside of now having a po box as my address. The flipside of this process sucking worse than I ever would have imagined. Right now even though I like to pretend, I can't. See you on the flipside, when that will be I truly don't know. I've decided to close comments, you can find me on twitter or email me! Today I sat in on a classroom birthday celebration for Sj. They have a very special ritual where the birthday child walks around the sun for each year of their life. 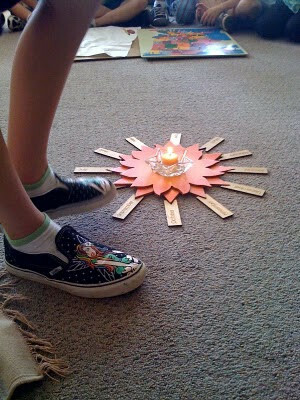 The sun is a candle, placed on a orange wooden cut out, with twelve rays representing each month of the year. All of the students sing a song counting up the numbers for each year as she circled the sun. After each year the birthday child tells a short story about that year of their life. 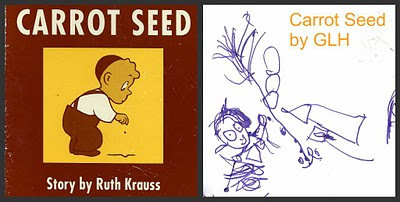 I first told the story of her birth (the very edited quick and painless version), years one and two. She filled in the rest. The chaos that has become our housing situation has simply taken over our lives. I would love to write about what I made for dinner or about a hike I took on Sunday, but I can't because we are all house, all the time. Yesterday we returned to a house that we were going to write on for a second time. 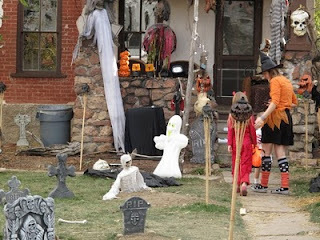 We did our homework and knew the problems that came with this particular house. We've spoken to contracting companies, studied structural engineer write ups and drawings, and tried to read through air quality testing results. But most importantly, I didn't feel it. Six Layer Rainbow Cake with Mario! This morning I woke at 6:30 and began to construct a cake. 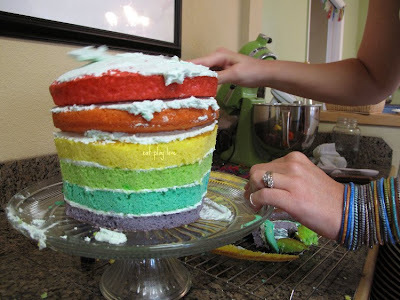 Well, not just any cake, but a six layer rainbow cake. I made enough batter for two cakes, simply put 1.5 cups of batter into a smaller bowl, colored it individually, and baked (for less time, win win). Technically the layers were not full size, but the cake was still grandiose. My now 7 year old requested sky blue icing and while I was at it, I decided to add some clouds by keeping some homemade frosting aside before coloring it blue. The cake was fun and whimsical so we added Mario. My favorite part about this particular cake was that the rainbow cake on the inside was a surprise! This is how it looks now. Apparently it was a hit! Even though I could have posted a photo of a bento I packed a few weeks ago, I have decided to refrain. 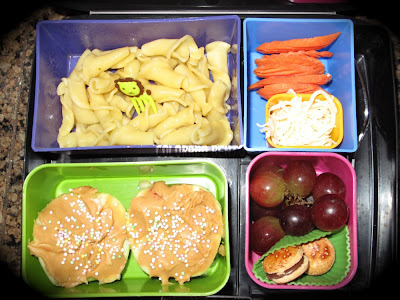 The title of this post isn't a joke, my husband packed lunch for our daughter this morning. Truth be told, I didn't even open her Laptop Lunch to see what was in there. We sold our house this month and will be moving in a month. Let's just say life has become a little bit hectic and overwhelming as we are still with out a home to move into. To top off the chaos my one year old refrigerator decided to frost over in the freezer affecting the air circulation to the refrigerator. A light bulb went off in the morning when the milk in glass bottles I pulled out of the refrigerator was warm to the touch. Glass in the refrigerator is never warm to the touch. Anyway, life does go on, but my bento packing is on hold. I am off to San Francisco for a few days and when I return my collection will have grown and I am hoping so will my inspiration. In this moment I realize I naively decided to put a for sale sign up in my yard just last month. We decided it was time and of course told ourselves, it will all work out. I know in my heart it will, but in this very moment things are a bit up in the air for us. Our home sale is going through in October, but the house we were under contract on fell through. If I'm packing one lunch, it just makes sense to pack another. I guess I got into a groove packing three lunches for a short stint. I didn't mind it at all. Even got my wheels turning a bit about something that has potential for the future. Today J is eating exactly the same lunch that Sj is. Like father, like daughter or is it vice versa? 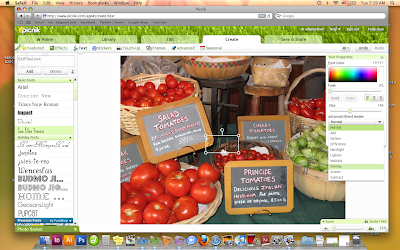 Have you ever clicked onto a blog post and found the author using a photo you took? Photos get picked up by google images, people search on a subject, and simply (borrow) a photo many times with out ever giving credit to the owner of the image. An easy way to avoid that is to watermark your photo. Some people may pass on using a watermarked image, but at very least you are still being given credit where credit is due. I always try to link back to where I found an image, unless it's one of those silly photo memes where I just do a general google image link back. If you aren't into photo editing, I have a very simple way to watermark a photo. I use Picnik. 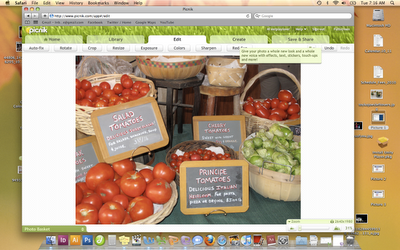 I use the premium version of Picnik (1 month, 3 month, or yearly subscription), but the majority of Picnik features are free. How I watermark this photo, is free. Easy How To Watermark Photos For Free! I know, I know. 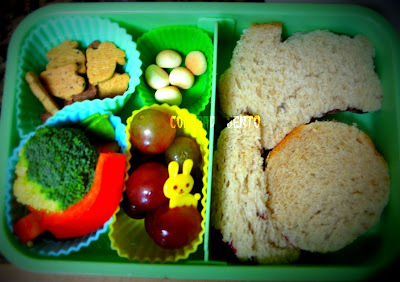 Why in the world is a lunch packing blog talking about watermarking photos? Well every lunch creation we share is ours, in this day and age of accessibility to everyone's content it's nice to protect yourself by watermarking your photos. Over at EatPlayLove, I have a shared the few easy steps on how to watermark a photo in a Tuesday Tips post! Enjoy. I received an email today from a bloggy-friend asking me what in the world was up, where have I been, and more importantly am I okay? Yes, I am doing just fine. 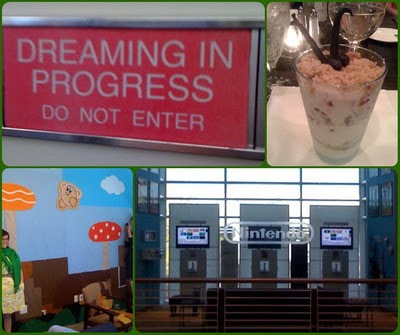 The last few weeks have been a surreal whirlwind experience. 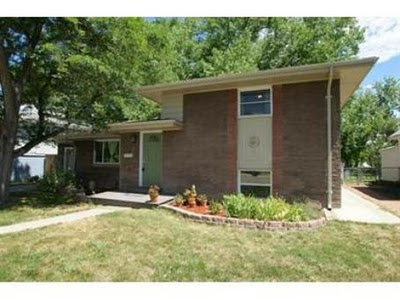 My house went under contract this week, followed by a mad search to find a new home. The first night after the we sealed the deal, I got absolutely no sleep. My mind raced all night wondering where in the world we were going to live come October! Now the excitement has settled down a bit and we've come to realize that everything will work out just fine. Please tell me it will work out, right? We aren't under contract yet on the house we like, but we shall know by tomorrow. A cookie cutter, some Japanese cutters (great for harder vegetables), and Hello Kitty cutters that also press a cute little face into the bread. Just add a little special touch to everyone's lunch. Our friends have been displaced by the Four Mile Canyon fire. One of the first things that came up was that the kids needed lunch boxes, so instead of buying lunch boxes I simply offered to pack lunch for the kids until they are settled into their new living arrangements. I wouldn't have it any other way, a homemade lunch is a simple way to keep things consistent for the children while they face so much change in their lives. Then Laptop Lunches stepped up and graciously offered to donate two Bento Kits to my friend's children. A huge thank you to them for their generosity. So now I am packing 3 lunches in the morning! Right now it cuts into my creative side because I'm figuring things out, but I am getting more into a groove. You will see my creativity come out next week. Fruit Kabob & Turkey Baloney With Heart! Last night I popped into Whole Foods to pick up a chicken (they put them on special on Wednesday) and while I was there I grabbed some fruit kabobs as well. So really, I didn't get all fancy this morning, I just had a kabob leftover from dinner! Heart sandwich made with 100% whole wheat organic bread, Applegate Farms uncured turkey baloney and Cabot sharp vintage cheddar, a bit of mustard, and Sj's initials in fruit leather. Some snap peas, barbecue Pirate's Booty, left over fruit leather cut into bunnies, and a 365 brand sandwich cookie. ------------------------------------ Disclaimer all items were purchased by my family, not a free sample or paid endorsement!